Having problems with animals running loose in your neighborhood? Call our office to see how we can help. 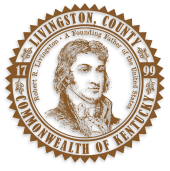 Livingston County has an animal control ordinance. If you are a pet owner it is important to be informed on your responsibilities. All dogs over 4 months of age are required to be vaccinated against rabies. All cats and ferrets over 4 months of age are required to be vaccinated against rabies. Only a licensed veterinarian can give a rabies vaccination. All animals must be provided with food, water, shelter from the elements, and medical care to prevent suffering. Any dog restrained by a tether, the chain, rope or cable must be at least 10 feet in length. All dogs must remain on the owner's property unless on a leash. 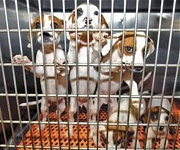 It is illegal to own or possess a vicious animal. Vicious is defined as any animal which attacks unprovoked, approaches in a terrorizing manner, has a known disposition to attack unprovoked or has bitten more than once in the same attack, a human or domestic animal. 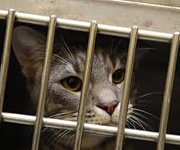 Any female dog or cat in heat must be kept in an enclosure such as a house or garage. The Department of Animal Control has animal control officers to respond to any animal related complaint. Make sure all your animals have ID tags so you will be contacted if they are lost. Get all your dogs and cats spayed and neutered to reduce the number of unwanted pets. Adopt pets from our shelter. Get your dogs, cats, and ferrets vaccinated against rabies.